It was day for celebrations as we received the news that Truzees was shortlisted in two categories for the regional and Leinster finals for the Bank of Ireland Startup Awards. You can imagine how delightfully shocked we were as it was just 2 weeks to the day after our official launch. We were absolutely thrilled to have such recognition at such an early stage. It was the following Friday we made a pitch to four judges in hope to bring home the gold. One week later at the awards night which held in the beautiful RHA(Royal Hibernian Gallery) in Dublin, Truzees was awarded GOLD and hailed as this years Craft Based Startup of the Year. So with gold in hand and now an award winning company – we look forward to Truzees future happenings for the year 2016 – 2017! 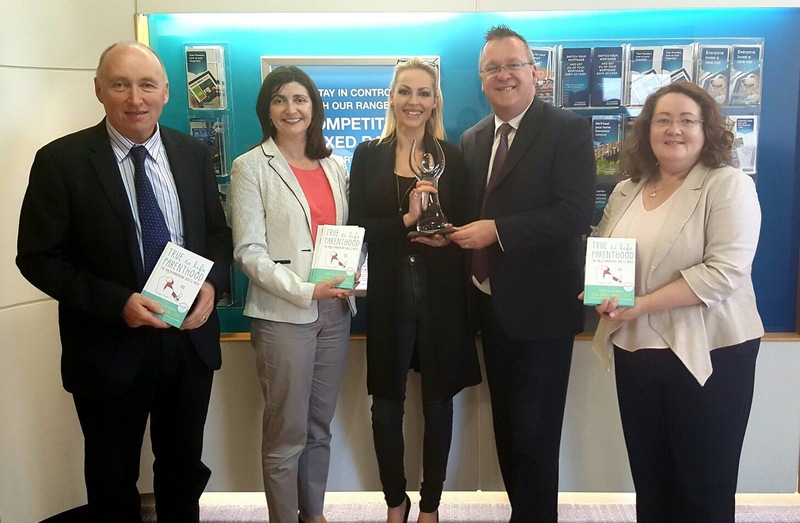 (L to R): James Hogan, Senior Enterprise Development Officer at Offaly County Council, Orla Martin, Head of Enterprise at Offaly LEO, Angela Mahon, Founder of Truzees, Joe Fennell, Bank of Ireland Branch Manager and Anna-Maire Delaney, CEO of Offaly County Council.